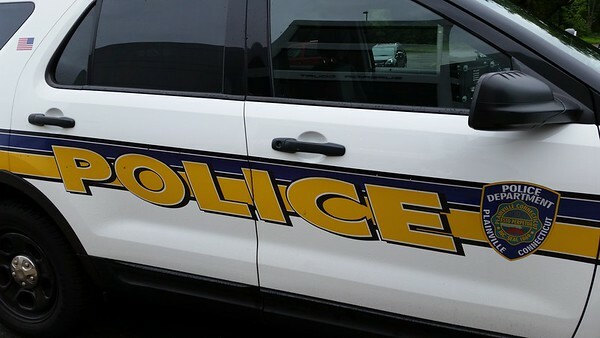 PLAINVILLE - Two Bristol men were arrested Tuesday and accused of beating a man apparently chosen at random. Gabriel Rivera, 21, of Ruth Street, and Timothy Harrison, 22, of Lexington Street, allegedly punched the 40-year-old man in the face numerous times and hit him with a stick several times around 4:25 a.m. The victim told police he had been walking to a nearby bus stop when heard a woman talking with someone on the second-floor porch of a house on Broad Street. He continued to walk, he said. He then noticed two men who had come out of the home asking him what he had in a bag he was carrying. The men, who were unprovoked, according to the victim, then began pushing and hitting him. The victim tried to get away, but the two chased him, he told police. In the area of Peace Court and Broad Street, the men allegedly knocked the victim to the ground and hit him with a stick. He told police he covered his face in an effort to protect himself, but he was kicked, punched and struck with the stick a number of times. At that point, he began screaming for help. Someone from a nearby house then came out and started yelling at the two assailants. Both ran off. Police responded to calls reporting the incident to 911. They searched the area and later found two men in the house where the victim had originally heard a woman talking. The men, later identified as Rivera and Harrison, were each charged with second-degree assault, first-degree reckless endangerment, conspiracy to commit second-degree assault, conspiracy to commit first-degree reckless endangerment, second-degree breach of peace and conspiracy to commit second-degree breach of peace. The victim complained of pain in his right eye, the right side of his jaw, the left side of his forehead and his left temple. He declined medical treatment. Both men were arraigned Tuesday in Bristol Superior Court. During the hearing, state prosecutors said Rivera has also been charged in connection with a domestic incident. He has been ordered held on $100,000 bond, pending his next hearing on Oct. 5. Harrison, court officials said, has been convicted of assault on a police officer and possession of a controlled substance. He posted $50,000 bond and is due back in court on Oct. 12. Posted in New Britain Herald, Plainville on Thursday, 13 September 2018 21:25. Updated: Thursday, 13 September 2018 21:28.